Miro Upholstery shares 20 years of experience. Miro Upholstery is currently located in Framingham, MA, 01702 The owner, Miro has proudly learned his work trough a hidden talent, hard work, dedication and passion. Being a perfectionist on his work, Miro Upholstery's work delivers attention to detail, quality, affordable price and friendly customer satisfaction guaranteed. Miro Upholstery uses only the best possible products for your specific furniture needs. We take the time to meet with you to discuss exactly what you need and make a plan to achieve that goal. We are up front about costs and time-frames. Your satisfaction is our satisfaction! Recognized Norfolk County Upholstery Specialist Visit Our Showroom! Welcome to DiCarlo Upholstery. Located in the region of South Shore Area and Boston . We Speak Portuguese and English. We take great pride in our work, especially in maintaining the unique history in the antique furniture we reupholster. It's our main priority to make sure your furniture get's completed with quality, experienced craftsmanship, and a precise attention to detail. Please feel free to contact us for a free estimate over the phone or email. Don't throw away that old chair or sofa! Why not save your money, add new life to your furniture. 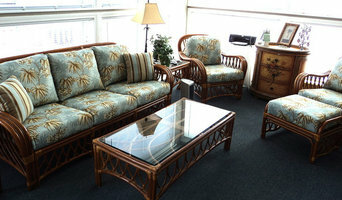 Please feel free to read about our furniture repair services on this site. We're certain that we can fix that tired sofa, and bring youth back to that old chairs. You can also view our previous work. We have much experience fixing upholstery, and we are certain that you will be satisfied with the results. Contact us today to receive your free estimate, or to ask any questions you may have. We sincerely look forward to speaking with you. Since 1889, McLaughlin Upholstering has specialized in custom upholstered furniture. 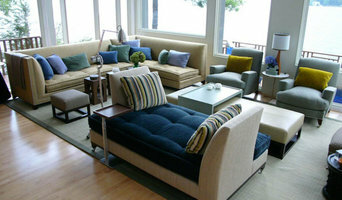 We create made-to-order sofas, sectionals, beds, and chairs that are exceptional in quality and comfort. Each piece of McLaughlin custom furniture is carefully created using old world European, hand-crafted artistry. McLaughlin Upholstering remains committed to preserving the art of hand-made upholstery. Our labor-intensive approach, attention to detail and use of the finest natural materials are an integral part of our reputation founded on excellence and quality. You design it, we create it! There is a difference. Wayne Towle Master Finishing & Restoration, Inc.
We have been serving the greater New England area and other states along the east coast, providing quality finishes on architectural woodwork and furniture since 1980. We will strip and refinish your dining room table, glue a broken chair, strip and finish the oak balustrade in your hallway, finish the new walnut library to look exactly like the room you fell in love with while traveling abroad, and even help you develop a color that no else has. We can match new construction to old, repair just about anything, and touch up damage created by your housekeeper, contractor, cat or dog. We partner with furniture makers, upholsters and caners to offer a one-stop experience. Call us to discuss your project and get an estimate. All our projects are either completed onsite or in our full-service shop. 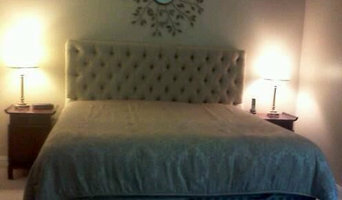 Upholstery, reupholstery and custom slipcovering. Custom furniture refinishing , Reclaimed wood rustic custom furniture , Upholstery , Home furnishing and decor. Find vintage mirrors, vintage dressers and even vintage desks for your chic HOME right here at "Twin's Chic". Looking to add to your vintage-style living or dining room? At "Twin's Chic", I also offer vintage chairs and all other types of vintage furniture to keep that shabby-chic or French-style motif prevalent throughout your home! " I do it because I LOVE IT"
I offer upholstery and furniture restorations as well as classes/drop in clinics to people wanting to do their own projects. Re-upholstery/upholstery repair includes redoing/outfitting items like chairs and sofas with springs, padding and fabric coverings. This can also include adding fringe, piping, tufting or additional decorative elements to a furniture piece. They can also advise you about the pros and cons of different fabrics so you can choose the best type for the project in your Newton home. Find Newton furniture repair professionals on Houzz. 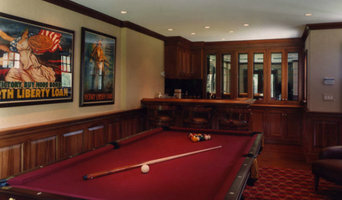 Narrow your search in the Professionals section of the website to Newton, MA furniture repair.